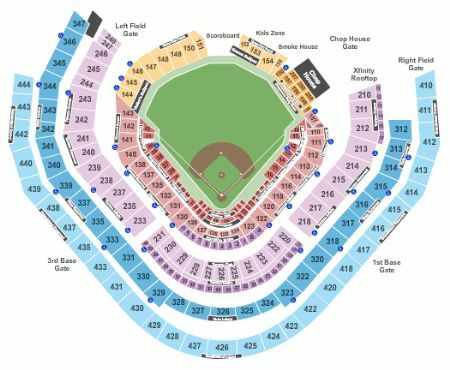 Atlanta Braves vs. Washington Nationals Tickets - 9/6/2019 - SunTrust Park in Atlanta at Stub.com! Mobile Entry Tickets. Must have smart device on hand to enter event. Tickets will be ready for delivery by Sep 02, 2019. Fourth row in this section. Mobile Entry: Scan your tickets from your mobile phone for this event. Do not print these tickets. Tickets will be ready for delivery by Sep 04, 2019. Mobile Entry: Scan your tickets from your mobile phone for this event. Do not print these tickets. Third row in this section. Tickets will be ready for delivery by Sep 04, 2019. Mobile Entry: Scan your tickets from your mobile phone for this event. Do not print these tickets. Second row in this section. Tickets will be ready for delivery by Sep 04, 2019. First row in this section. Mobile Entry: Scan your tickets from your mobile phone for this event. Do not print these tickets. Tickets will be ready for delivery by Sep 04, 2019. Fourth row in this section. Mobile Entry: Scan your tickets from your mobile phone for this event. Do not print these tickets. These seats are directly behind the visiting team bullpen within the first ten rows. Tickets will be ready for delivery by Sep 04, 2019. Fourth row in this section. Home teams side. Mobile Entry: Scan your tickets from your mobile phone for this event. Do not print these tickets. Tickets will be ready for delivery by Sep 04, 2019. XFER Mobile Entry. Scan your tickets from your mobile phone for this event. Tickets will be ready for delivery by Sep 02, 2019. Mobile Entry: Scan your tickets from your mobile phone for this event. Do not print these tickets. These seats are directly behind the visiting team bullpen within the first ten rows. Third row in this section. Tickets will be ready for delivery by Sep 04, 2019. Mobile Entry: Scan your tickets from your mobile phone for this event. Do not print these tickets. These seats are within 10 rows of the field. Tickets will be ready for delivery by Sep 04, 2019. Fourth row in this section. Mobile Entry: Scan your tickets from your mobile phone for this event. Do not print these tickets. These seats are directly behind the home team bullpen within the first ten rows. Tickets will be ready for delivery by Sep 04, 2019. First row in this section. Tickets will be ready for delivery by Sep 04, 2019. Fifth row in this section. Mobile Entry: Scan your tickets from your mobile phone for this event. Do not print these tickets. These seats are within 10 rows of the field. Tickets will be ready for delivery by Sep 04, 2019. Mobile Entry: Scan your tickets from your mobile phone for this event. Do not print these tickets. Tickets will be ready for delivery by Sep 04, 2019. Fifth row in this section. Mobile Entry: Scan your tickets from your mobile phone for this event. Do not print these tickets. Tickets will be ready for delivery by Sep 04, 2019. Mobile Entry: Scan your tickets from your mobile phone for this event. Do not print these tickets. These seats are directly behind the home team bullpen within the first ten rows. Third row in this section. Tickets will be ready for delivery by Sep 04, 2019. First row in this section. Mobile Entry: Scan your tickets from your mobile phone for this event. Do not print these tickets. Visiting teams side. Tickets will be ready for delivery by Sep 04, 2019. Parking Pass Only. Does not include admission to event. XFER Mobile Entry. Scan your tickets from your mobile phone for this event. Do not print these tickets. Does not include admission to event. Tickets will be ready for delivery by Sep 02, 2019. Home teams side. Mobile Entry: Scan your tickets from your mobile phone for this event. Do not print these tickets. Tickets will be ready for delivery by Sep 04, 2019. Home teams side. Mobile Entry: Scan your tickets from your mobile phone for this event. Do not print these tickets. Third row in this section. Tickets will be ready for delivery by Sep 04, 2019. Mobile Entry: Scan your tickets from your mobile phone for this event. Do not print these tickets. Visiting teams side. Tickets will be ready for delivery by Sep 04, 2019. First row in this section. Home teams side. Mobile Entry: Scan your tickets from your mobile phone for this event. Do not print these tickets. Tickets will be ready for delivery by Sep 04, 2019. Fourth row in this section. Mobile Entry: Scan your tickets from your mobile phone for this event. Do not print these tickets. Visiting teams side. Tickets will be ready for delivery by Sep 04, 2019. Fifth row in this section. Mobile Entry: Scan your tickets from your mobile phone for this event. Do not print these tickets. Visiting teams side. Tickets will be ready for delivery by Sep 04, 2019. Mobile Entry: Scan your tickets from your mobile phone for this event. Do not print these tickets. Sixth row in this section. Visiting teams side. Tickets will be ready for delivery by Sep 04, 2019. Mobile Entry: Scan your tickets from your mobile phone for this event. Do not print these tickets. Third row in this section. Visiting teams side. Tickets will be ready for delivery by Sep 04, 2019. Fifth row in this section. Home teams side. Mobile Entry: Scan your tickets from your mobile phone for this event. Do not print these tickets. Tickets will be ready for delivery by Sep 04, 2019. Parking Pass Only. Does not include admission to event. Tickets will be ready for delivery by Sep 04, 2019. $10 food and beverage credit included with each ticket. Includes access to Dugout Club. Mobile Entry: Scan your tickets from your mobile phone for this event. Do not print these tickets. On the baseline. Second row in this section. Visiting teams side. Tickets will be ready for delivery by Sep 04, 2019. $10 food and beverage credit included with each ticket. Access into Chop House. In Seat Service. Mobile Entry: Scan your tickets from your mobile phone for this event. Do not print these tickets. These seats are within 10 rows of the field. Third row in this section. Tickets will be ready for delivery by Sep 04, 2019. Mobile Entry: Scan your tickets from your mobile phone for this event. Do not print these tickets. Second row in this section. Visiting teams side. Tickets will be ready for delivery by Sep 04, 2019. $10 food and beverage credit included with each ticket. Home teams side. Includes access to Dugout Club. Mobile Entry: Scan your tickets from your mobile phone for this event. Do not print these tickets. On the baseline. These seats are within 10 rows of the field. Tickets will be ready for delivery by Sep 04, 2019. Home teams side. Mobile Entry: Scan your tickets from your mobile phone for this event. Do not print these tickets. Second row in this section. Tickets will be ready for delivery by Sep 04, 2019. $10 food and beverage credit included with each ticket. Includes access to Dugout Club. Mobile Entry: Scan your tickets from your mobile phone for this event. Do not print these tickets. On the baseline. Third row in this section. Visiting teams side. Tickets will be ready for delivery by Sep 04, 2019. $10 food and beverage credit included with each ticket. Fifth row in this section. Home teams side. Includes access to Dugout Club. Mobile Entry: Scan your tickets from your mobile phone for this event. Do not print these tickets. On the baseline. These seats are within 10 rows of the field. Tickets will be ready for delivery by Sep 04, 2019. $10 food and beverage credit included with each ticket. Fourth row in this section. Includes access to Dugout Club. Mobile Entry: Scan your tickets from your mobile phone for this event. Do not print these tickets. On the baseline. These seats are within 10 rows of the field. Visiting teams side. Tickets will be ready for delivery by Sep 04, 2019. $10 food and beverage credit included with each ticket. Includes access to Dugout Club. Mobile Entry: Scan your tickets from your mobile phone for this event. Do not print these tickets. On the baseline. These seats are within 10 rows of the field. Third row in this section. Visiting teams side. Tickets will be ready for delivery by Sep 04, 2019. $10 food and beverage credit included with each ticket. Home teams side. Includes access to Dugout Club. On the baseline. Second row in this section. These seats are within 10 rows of the field. Tickets will be ready for delivery by Sep 04, 2019. Access to the Terrace Club includes VIP entrance & fifteen dollars ($15) of food and beverage credit per ticket. This casual club environment features a signature bar, two additional full-service bars and upscale food and beverage options. In Seat Service. Mobile Entry: Scan your tickets from your mobile phone for this event. Do not print these tickets. Padded Seat. Second row in this section. Tickets will be ready for delivery by Sep 04, 2019. $10 food and beverage credit included with each ticket. Home teams side. Includes access to Dugout Club. Mobile Entry: Scan your tickets from your mobile phone for this event. Do not print these tickets. On the baseline. These seats are within 10 rows of the field. Third row in this section. Tickets will be ready for delivery by Sep 04, 2019. $10 food and beverage credit included with each ticket. Aisle Seats. First row in this section. Includes access to Dugout Club. Mobile Entry: Scan your tickets from your mobile phone for this event. Do not print these tickets. On the baseline. Visiting teams side. Tickets will be ready for delivery by Sep 04, 2019. Mobile Entry Tickets. Must have smart device on hand to enter event. Do not print these tickets. Includes access to Delta Sky 360 Club. Tickets will be ready for delivery by Sep 02, 2019. $10 food and beverage credit included with each ticket. Home teams side. Includes access to Dugout Club. Mobile Entry: Scan your tickets from your mobile phone for this event. Do not print these tickets. These seats are located directly beside the dugout. These seats are within 10 rows of the field. Tickets will be ready for delivery by Sep 04, 2019. $10 food and beverage credit included with each ticket. Includes access to Dugout Club. Mobile Entry: Scan your tickets from your mobile phone for this event. Do not print these tickets. These seats are directly behind the home team dugout within the first ten rows. Tickets will be ready for delivery by Sep 04, 2019. $10 food and beverage credit included with each ticket. Includes access to Dugout Club. Mobile Entry: Scan your tickets from your mobile phone for this event. Do not print these tickets. These seats are located directly beside the dugout. Visiting teams side. Tickets will be ready for delivery by Sep 04, 2019. $10 food and beverage credit included with each ticket. Fifth row in this section. Home teams side. Includes access to Dugout Club. Mobile Entry: Scan your tickets from your mobile phone for this event. Do not print these tickets. These seats are located directly beside the dugout. These seats are within 10 rows of the field. Tickets will be ready for delivery by Sep 04, 2019. $10 food and beverage credit included with each ticket. Includes access to Dugout Club. Mobile Entry: Scan your tickets from your mobile phone for this event. Do not print these tickets. These seats are directly behind the home team dugout within the first ten rows. Third row in this section. Tickets will be ready for delivery by Sep 04, 2019. $10 food and beverage credit included with each ticket. Fourth row in this section. Includes access to Dugout Club. Mobile Entry: Scan your tickets from your mobile phone for this event. Do not print these tickets. These seats are directly behind the home team dugout within the first ten rows. Tickets will be ready for delivery by Sep 04, 2019. $10 food and beverage credit included with each ticket. Fourth row in this section. Includes access to Dugout Club. Mobile Entry: Scan your tickets from your mobile phone for this event. Do not print these tickets. These seats are directly behind the visiting team dugout within the first ten rows. Tickets will be ready for delivery by Sep 04, 2019. $10 food and beverage credit included with each ticket. Includes access to Dugout Club. Mobile Entry: Scan your tickets from your mobile phone for this event. Do not print these tickets. These seats are directly behind the visiting team dugout within the first ten rows. Third row in this section. Tickets will be ready for delivery by Sep 04, 2019. $10 food and beverage credit included with each ticket. Fourth row in this section. Includes access to Dugout Club. These seats are directly behind the home team dugout within the first ten rows. Tickets will be ready for delivery by Sep 04, 2019. Access to the Delta Sky360 Club includes VIP entrance, in-seat wait service & all-inclusive food and beverage (excluding hard liquor). Tickets will be ready for delivery by Sep 02, 2019. $10 food and beverage credit included with each ticket. Includes access to Dugout Club. Mobile Entry: Scan your tickets from your mobile phone for this event. Do not print these tickets. Sixth row in this section. These seats are directly behind the visiting team dugout within the first ten rows. Tickets will be ready for delivery by Sep 04, 2019. Access to the Delta Sky360 Club includes VIP entrance, in-seat wait service & all-inclusive food and beverage (excluding hard liquor). Mobile Entry: Scan your tickets from your mobile phone for this event. Do not print these tickets. Padded Seat. These seats are located behind the safety netting. Third row in this section. Tickets will be ready for delivery by Sep 04, 2019. $10 food and beverage credit included with each ticket. Includes access to Dugout Club. These seats are directly behind the home team dugout within the first ten rows. Third row in this section. Tickets will be ready for delivery by Sep 04, 2019. $10 food and beverage credit included with each ticket. Includes access to Dugout Club. Second row in this section. These seats are directly behind the home team dugout within the first ten rows. Tickets will be ready for delivery by Sep 04, 2019. $10 food and beverage credit included with each ticket. Includes access to Dugout Club. Mobile Entry: Scan your tickets from your mobile phone for this event. Do not print these tickets. Second row in this section. These seats are directly behind the visiting team dugout within the first ten rows. Tickets will be ready for delivery by Sep 04, 2019. Access to the Delta Sky360 Club includes VIP entrance, in-seat wait service & all-inclusive food and beverage (excluding hard liquor). First row in this section. Mobile Entry: Scan your tickets from your mobile phone for this event. Do not print these tickets. Padded Seat. These seats are located behind the safety netting. Tickets will be ready for delivery by Sep 04, 2019. $10 food and beverage credit included with each ticket. Includes access to Dugout Club. Second row in this section. These seats are directly behind the visiting team dugout within the first ten rows. Tickets will be ready for delivery by Sep 04, 2019. Access to the Delta Sky360 Club includes VIP entrance, in-seat wait service & all-inclusive food and beverage (excluding hard liquor). Mobile Entry: Scan your tickets from your mobile phone for this event. Do not print these tickets. Padded Seat. Second row in this section. These seats are located behind the safety netting. Tickets will be ready for delivery by Sep 04, 2019. $10 food and beverage credit included with each ticket. Aisle Seats. First row in this section. Includes access to Dugout Club. Mobile Entry: Scan your tickets from your mobile phone for this event. Do not print these tickets. These seats are directly behind the visiting team dugout within the first ten rows. Tickets will be ready for delivery by Sep 04, 2019. $10 food and beverage credit included with each ticket. First row in this section. Includes access to Dugout Club. Mobile Entry Tickets. Must have smart device on hand to enter event. Do not print these tickets. Aisle seats. These seats are directly behind the home team dugout within the first ten rows. Tickets will be ready for delivery by Sep 04, 2019. Access to the Delta Sky360 Club includes VIP entrance, in-seat wait service & all-inclusive food and beverage (excluding hard liquor). Mobile Entry: Scan your tickets from your mobile phone for this event. Do not print these tickets. Padded Seat. These seats are located behind home plate between the dugouts within the first ten rows. These seats are located behind the safety netting. Third row in this section. Tickets will be ready for delivery by Sep 04, 2019. Access to the Delta Sky360 Club includes VIP entrance, in-seat wait service & all-inclusive food and beverage (excluding hard liquor). Mobile Entry: Scan your tickets from your mobile phone for this event. Do not print these tickets. Padded Seat. Second row in this section. These seats are located behind home plate between the dugouts within the first ten rows. These seats are located behind the safety netting. Tickets will be ready for delivery by Sep 04, 2019. Access to the Delta Sky360 Club includes VIP entrance, in-seat wait service & all-inclusive food and beverage (excluding hard liquor). First row in this section. Mobile Entry: Scan your tickets from your mobile phone for this event. Do not print these tickets. Padded Seat. These seats are located behind home plate between the dugouts within the first ten rows. These seats are located behind the safety netting. Tickets will be ready for delivery by Sep 04, 2019.